Cooking Goals focuses on developing the functional life skills of individuals through teaching them the principles of meal preparation, organisational skills and time management. Through working in small groups, individuals are encouraged and supported to further develop their social and communication skills. Participants will follow step-by-step instructions throughout the preparation process, from chopping to cooking and finally serving their meals. Cooking Goals encourages participants to experience the joy of cooking, the different sensory experiences and to share this experience with their peers and families. 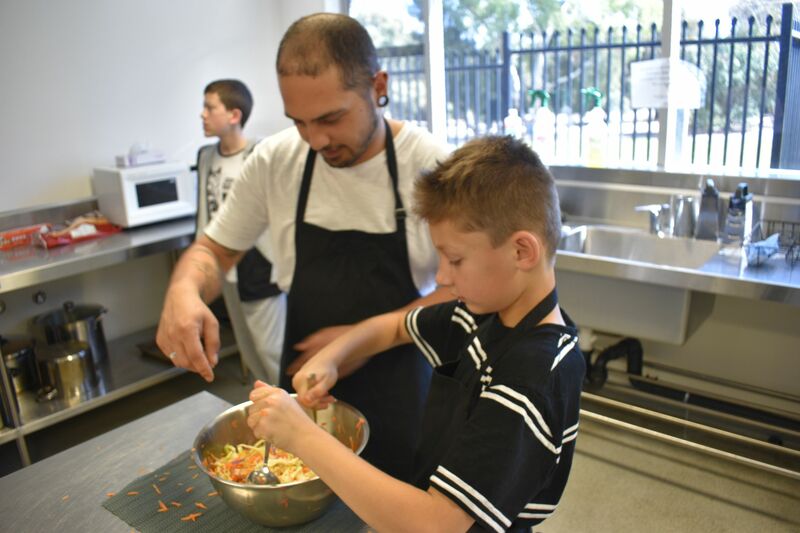 Through support from our mentors and role modelling, Cooking Goals will assist individuals develop a number of skills. Adolescent Group: Our adolescent group is open to young people 10 to 16 years old. Young Adult Group: Our young adult group is open to individuals 17 to 20 years old.